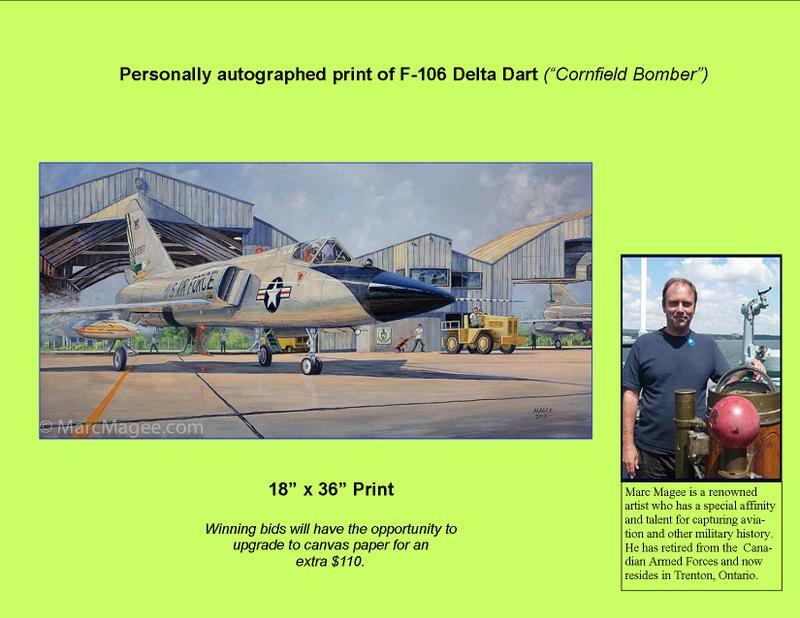 Personally autographed print of a F-106 Delta Dart (''Cornfield Bomber'') by artist Marc Magee. Size 18'' x 36''. Winning bids will have the opportunity to upgrade to canvas paper for an extra $110. Marc Magee is a renowned artist who has a special affinity and talent for capturing aviation and other military history. He has retired from the Canadian Armed Forces and now resides in Trenton, Ontario.